The world is overwhelmed with web content. Yet many organisations publish content blindly and operate without a documented content strategy, exposing themselves to business risks and missed opportunities. Content strategy is planning for the creation, delivery, and governance of useful, usable content . It guides web content management projects to deliver business value. Effective content strategy relies on a variety of skills and disciplines, including marketing, communications, editorial planning, web development, user experience and analytics. Evaluating what you have in terms of content, skills and resources. Content audit, training needs, recruitment. How to produce quality content? How much to write? How often? What works online, and what doesn’t? What is content modelling? Which Web Content Management system to choose? Who is responsible for web content? Decentralised vs centralised content editing approach. Why does the content exist? Does it increase revenue, lower costs, improves customer experience? What are the goals, KPIs and success criteria for web content. Once the content is created and published, how do you keep the standards high and content up-to-date? Digital quality management, web governance, analytics, editorial calendar. How to communicate success, influence top management and advocate for change. This session will suit anyone responsible for creating, managing or overseeing web content. It is relevant to web managers, marketing managers, web content editors, content management professionals, website owners, digital agency and technology vendor teams. As much as attending industry conferences is considered a must for mid- to senior-level digital professionals, few can afford to go to more than two or three events a year. In this article, I will go through five key considerations that web managers and digital leaders can use to help them determine whether an industry conference is worth their time and money. I will then explain what JBoye Aarhus Conference delivers in each of these categories (from my experience of attending JBoye conference annually since 2011), so that you can decide for yourself whether JBoye conference is right for you. There’s conferences, and there’s conferences. Some attract thousands of people (Web Summit and Adobe Summit are good examples), and others – such as JBoye, NNGroup or IWMW – bring together several hundreds of participants. Both types can be useful and fun, but they offer totally different experiences. Large conferences are more like going to a theatre – there’s more of a wow factor and there’s a higher number of totally awesome inspirational speakers (think Kevin Spacey or George Clooney), but just like in a theatre, you don’t really get to interact with them in a meaningful way. Nor do you get to talk properly to the other umpteen thousands attendees. It’s a show. By contrast, smaller conferences are more like communities, where you can build meaningful relationships with a lot of people, speakers and participants alike. 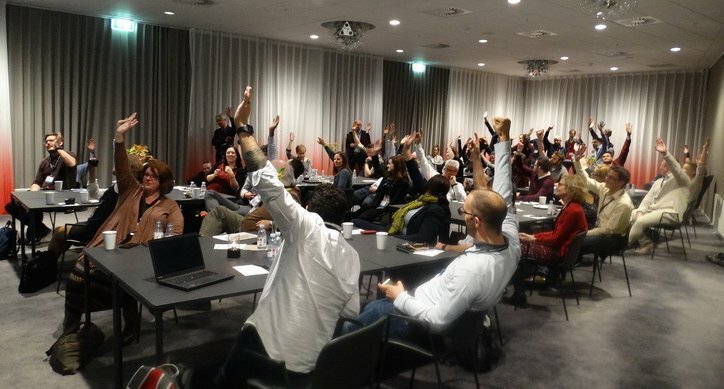 At JBoye Aarhus 2015 there were 225 delegates from 17 countries. JBoye conference is definitely a smaller, community-like event – big enough to attract great speakers, and small enough for networking to be effective and easy. Even if you feel somewhat uncomfortable in a busy, crowded social setting (many people are), Janus and his team will be happy to introduce you to the people you want to meet. This is really helpful because at conferences it’s not always easy to track down a particular individual, and the task is even harder if you’ve not met that person before. Conference consideration #2: Keynotes and presentations, format. Some conferences offer deep-dive training courses, which equip you with practical skills that you can apply to your own projects. Others offer shorter, introductory sessions that inspire you to find out more. JBoye conference has both types of presentations. The first of the three days offers 3-hours workshops – interactive sessions with group exercises and plenty of opportunities for audience participation. After attending a workshop you should be equipped with practical tools that allow you to put the acquired knowledge into practice. Workshops also kick-start your networking at JBoye – by the end of the three hour workshop you’re bound to know the names of everyone in your room. It’ll almost feel like you’re friends. The second and third day feature shorter presentations on a wide variety of subjects, as well as some roundtables and expert panels. In this fast paced format you constantly move from one room to another, and it’s a lot to take in, but you get to meet a lot of people and you get to hear about a lot of different ideas. It’s a bit like speed dating. The format gives you an opportunity to consider a number of perspectives, and identify the right people to talk to later in the day. Quite an impressive thing about JBoye conference that I’ve not seen at other community-level conferences, is that everything runs on time. To the minute. If the presentation is scheduled for 9:00am then that’s precisely when it will start. More importantly, if a presentation is scheduled to finish at 9:45am then that’s when it will finish. This applies even to the morning Run with the Vikings at 6:30am. No time to lose. Presentation slides usually appear on Slideshare within days after the conference is finished. Conference consideration #3. Keynotes and presentations, content. If you need to know the best approach for multithreading in node.js, or the best way to track call-to-action button clicks in Google Analytics, JBoye is not the right conference for you. Consider conferences targeted specifically at web developers and web designers instead, such as Smashing Conference, NDC, Web Summer Camp or Future of Web Design. Equally, if you’re after the roadmap and nitty-gritty of a specific software product, you’ll be much better off attending a vendor (or open source community) user conference – DrupalCon, 404 Kentico, or Hippo.Connect are some examples. Conference consideration #4. Business networking and social events. Being able to make useful contacts at an industry conference depends on two factors. The first is the make-up of the audience. Who are these people? What can you learn from them? Are they the type of people that you would like to work with? Are they likely to boost your energy with new ideas, or drain it with the sales speak? The second factor determining how effective your networking will be, is the nature of social events. Are conference organisers helping people to connect in an informal setting or do you have to organise it yourself? At JBoye the majority of conference delegates are web professionals at mid and senior management level. They are usually people who can handle both strategic and tactical initiatives, and who do just that, day in, day out. Web designers and web developers who are interested in how their work fits into broader business goals, and are looking to transition into managerial roles, also attend JBoye for its strategic content. There are usually a few digital agencies attending JBoye conference (such as MMT Digital, eXa Online, and NMQ Digital), as well as software vendors (for example Oracle, Sitecore, Magnolia and Crownpeak) but their presence isn’t overbearing and their presentations are monitored by JBoye team to ensure that they are useful to the audience and are not just another sales pitch. With regards to social events, in addition to lunches and coffee breaks throughout the day, JBoye organises, and pays for, two after-conference dinners on Tuesday and Wednesday. 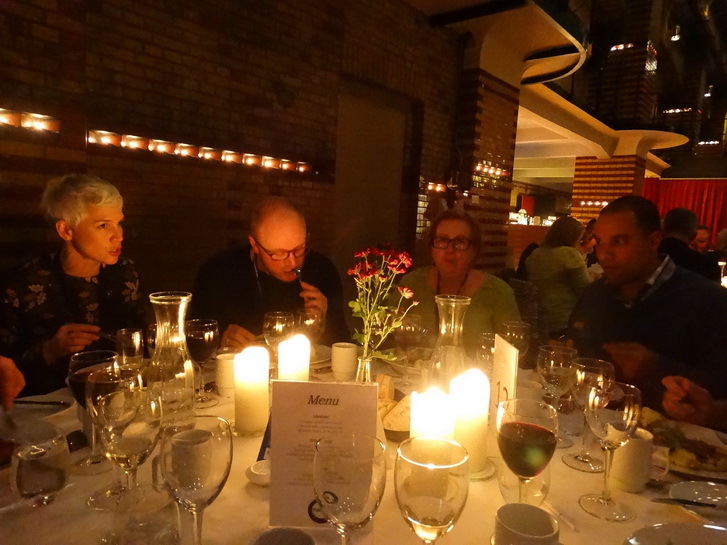 This means that everyone is in the same place in the evening, and you can build lasting relationships that will extend the value of the conference far beyond the three days in Aarhus. Food, tea and coffee is totally awesome – you are in Denmark, after all! Conference consideration #5. Value for money. When it comes to convincing your boss to send you to a conference, the price tag plays a big part. JBoye conference is not expensive per se, particularly if you consider that food and social is included. Still, what makes JBoye a bit of a luxury trip for many, is the location. Most people deserve a medal for just getting there, and when you factor in travel, the three-day conference becomes a full week away from your desk. That said, Aarhus is a great place to visit. You can read about Aarhus in Guardian, Independent, The New York Times, and if you are really serious about exploring Denmark – read a book How to be Danish by Patrick Kingsley. JBoye 2014 Conference, Aarhus. The best yet! At Digital Clarity Group, attending and speaking at industry conferences is part of our job, so we are not easily impressed. Yet, this year’s J. Boye Aarhus 2014 met and exceeded our expectations. The event brought together nearly 300 delegates from 15 countries. World-class speakers such as Bebo White, Rose Cameron, Eric Karjaluoto, James Cannings, Martin White, Tjeerd Brenninkmeijer, Jake DiMare and Tracy Green, to name just a few, made learning easy and enjoyable. Fantastic social events created natural opportunities to connect with speakers and participants alike. Two light-hearted sessions – Web Idol and Town Hall Debate – filled the conference rooms with laughter and served as a welcome break from presentations and workshops. With 12 tracks to choose from there was a lot to take in. Here are just some of the insights from this year’s conference. At Digital Clarity Group when we interview digital agencies and system integrators, one factor that stands out as critical to the agency’s success is their agile approach to project delivery. James Cannings from MMT Digital gave an excellent overview of what agile is and isn’t. For example, building a car in an agile way should not leave you with something dysfunctional half-way through the project. It should be a product that you can take to market – like a bicycle or a motorbike, says James. He also discussed pricing models (fixed fee vs on times-and-materials basis) and contractual challenges of articulating agile approach in legal terms. If you are interested in learning more about agile, James Cannings will be hosting a masterclass on agile on 28th January 2015 in Oslo. Content production and content strategy continues to be both important and challenging. In today’s age of information overload simply creating good content is not enough. Content must COPE with different devices and publishing environments. It must be adaptable, flexible, reusable, and mobile-friendly. And on top of all that – relevant and timely. 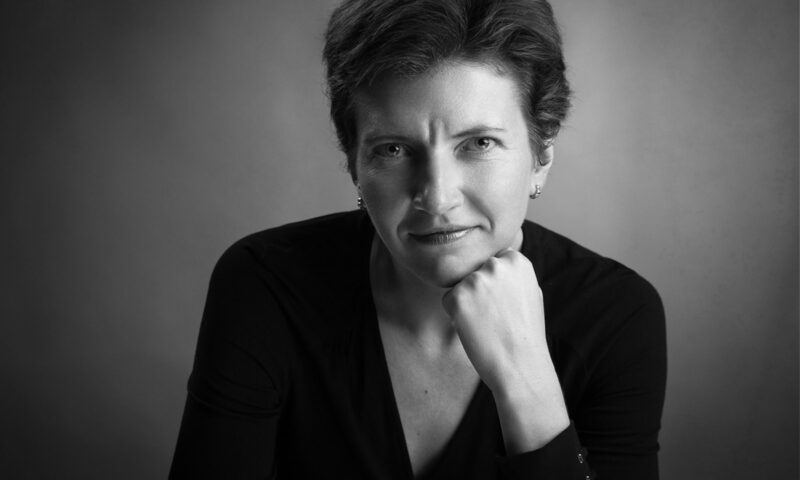 Although understanding the technical aspects of content production is important, treating content like data is a losing proposition, says content strategist Rahel Anne Bailie. Web Design continues to be a heated and emotional part of many digital projects. Eric Karjaluoto takes some pain out of the process by establishing clear methodology for design projects. Unlike art, design is about discipline and producing sensible, functional, and appropriate work. Good designers are like editors. They amplify the good things and take out the bad. Eric argues that considering three different concepts at the outset of a design project is like attempting to go to three different destinations at the same time. This is one sure way to derail the project and invite scope creep. Read more about what effective and clear design process is like in Eric’s book The Design Method. There’s no getting away from the fact that technology plays a big part in success, or failure, of a digital project. But there’s a far more complex and important factor at play — people. We stress time and time again in our research that it’s the team, first and foremost, that determines the fate of a digital project. This message was reiterated throughout J. Boye conference by a number of speakers. For the first time at J. Boye, customer experience management as a theme ran across all three days of the conference, with workshops, presentations, and roundtable discussions on the subject. Understanding customer experience is more important than ever. It’s what differentiates successful companies that adapt and grow (like Netflix) from those that ignore the current trends and vanish (like Borders). According to Scott Liewehr, customer experience is a strategic inflection point. Failure to provide superior customer experiences leads to irrelevance and business decline. These are only a few takeaways from this year’s J. Boye Conference. This was my fourth year at J. Boye and once again, the event offered a great environment for learning and knowledge sharing. It was a time to reflect, and a time to look into the future. Events like J. Boye inspire, motivate and help bridge the gap between thinking and doing. Next year J. Boye Philadelphia Conference will take place on 5–7 May 2015, and J. Boye Aarhus Conference will take place on 3–5 November 2015. We are looking forward! In the meantime, catch us at other industry events across the globe or contact us. We are never too far away!